The importance of startups in a modern economy is undeniable. New, innovative enterprises play a vital role in determining how dynamic a region’s or city’s innovation will be. Start-ups reinvigorate the business community, increase competition for innovation, introduce new products, services, and business models, create new markets and offer innovative solutions to emerging problems. The combination of entrepreneurial activity with corporate ability seems like a perfect match, but can be elusive to achieve. This is where Innova Foster comes into action to undertake the challenge of connecting both worlds with greater speed and agility. 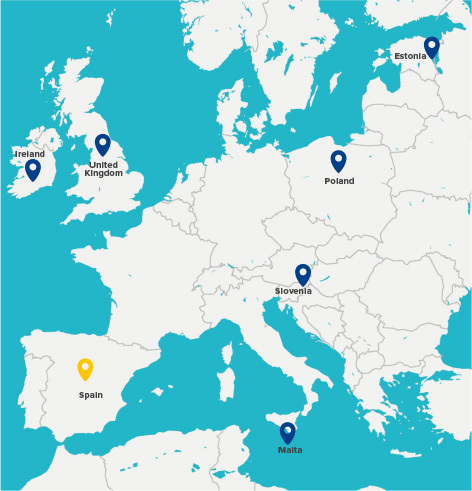 The project brings together seven European countries: Ireland, Spain, Malta, Slovenia, Estonia, Poland, and the UK, to address the challenge and improve the public policies and programmes supporting the development of innovation and startups ecosystems. Innova Foster has a budget of over €1million to be spent over a 4 year period on several study visits, thematic workshops, and working sessions. The aforementioned actions will be the basis for the design of seven Action Plans (one per partner) that should contribute to de-risk the development and scale-up of novel public services. Leveraging the startups' growth and increasing their role as providers of innovative solutions in seven European regions. Innova Foster is a European project co-financed under Interreg Europe program to improve regional support policy of startups. How could we leverage startup's growth through their engagement into innovaction at local or regional level? ¿Cómo podríamos apalancar el crecimiento de las startups a través de su compromiso con la innovación a nivel local o regional? Startups build their business off some technology, process, business model, or other innovation that will give them a significant competitive advantage as compared to existing companies. There is a broad consensus that new, innovative enterprises play a vital role in determining how dynamic a region's or city’s innovation will be. Start-ups reinvigorate the business community, increase competition for innovation, introduce new products, services, and business models, create new markets and offer innovative solutions to emerging problems. When it comes to agility, startups have an edge over large corporations. The combination of entrepreneurial activity with corporate ability seems like a perfect match, but can be elusive to achieve. Some models already exist (see annexed file), but our challenge today is to connect both worlds with greater speed and agility. How could we leverage startups' growth through their engagement into innovation at local or regional level? We are looking for innovative ideas to make startups the innovation providers of corporations and public sector in Europe.  We want to identify solutions for our challenge by gathering ideas spontaneously contributed by the community. There is no restriction to your ideas’ generation and communication. Feel free to suggest and share your most divergent thoughts. You can share as many ideas as you want. We need ideas that we can understand and put into context. The more detailed and argued your idea is, the easiest it will be to advance to the next phase. Welcome to South Summit 2017! Pitch your idea in Ireland to all Innova Foster partners! In November 2017, Innova Foster’s partners, coming from seven different countries in Europe, will meet in Cork (Ireland) to learn about the Irish startups&innovation ecosystem and discuss how to improve the growth of startups. If your idea is the winner one, you will be invited to pitch it and participate in all meetings and workshops.